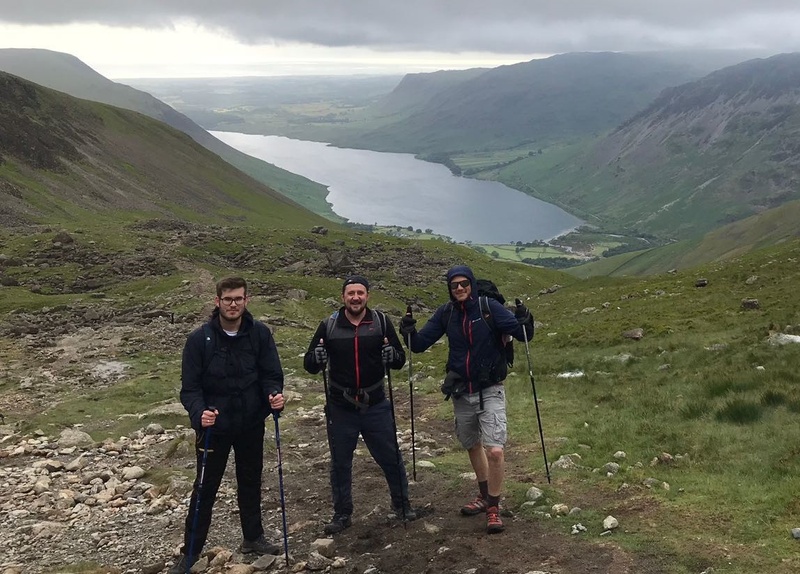 It’s been a couple of weeks since our team of intrepid DaXtra mountaineers took on the UK’s famous Three Peaks Challenge. 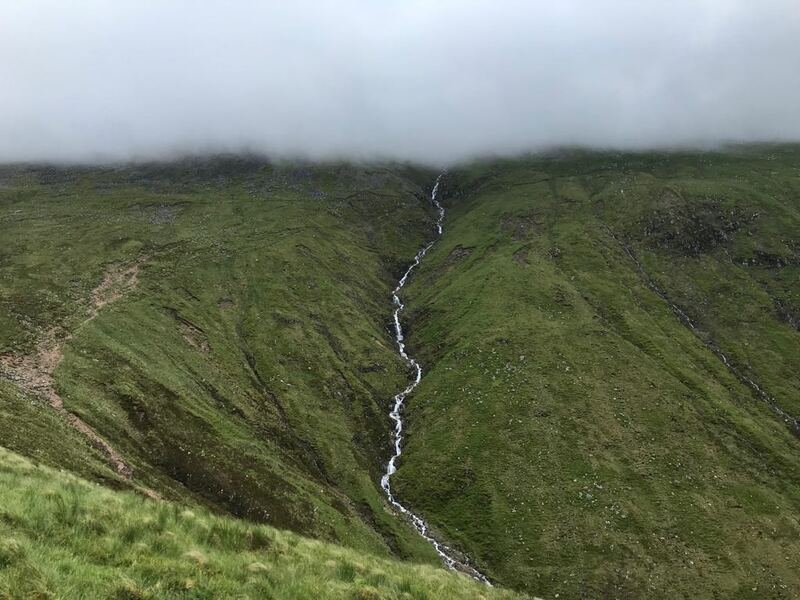 This involved climbing the three highest mountains of Scotland, England and Wales – walking 23 miles, ascending 10,052 feet and driving 950 miles. We embarked on this challenge to raise money for The OPERA Global Youth Foundation. OPERA works to tackle youth unemployment by bringing together the talent industry and leading youth organisations to give young people support in getting into work. The DaXtra team smashed the £1,000 target and we are hoping to raise even more funds for this great cause. 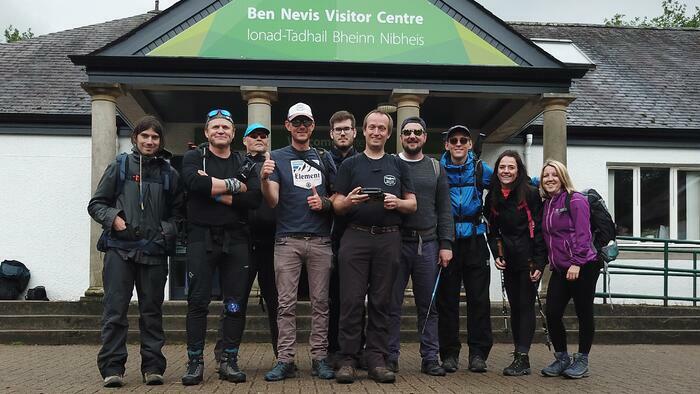 The epic challenge started at 6.30am on a Friday, when the team left our Edinburgh HQ to drive up to Fort William – ready to scale the highest mountain of the three: Ben Nevis. When we started climbing at 11am, everyone was buzzing and the weather was pretty good (for Scotland). We got about halfway up before the cloud closed in and we had to climb the second half in thick fog. It started raining about an hour before the summit, where visibility was about 10 metres and the views were non-existent. We’d made it to the top of the first peak though, so everyone was pretty happy about that. It then rained all the way back down the mountain, which put a bit of a dampener on things. 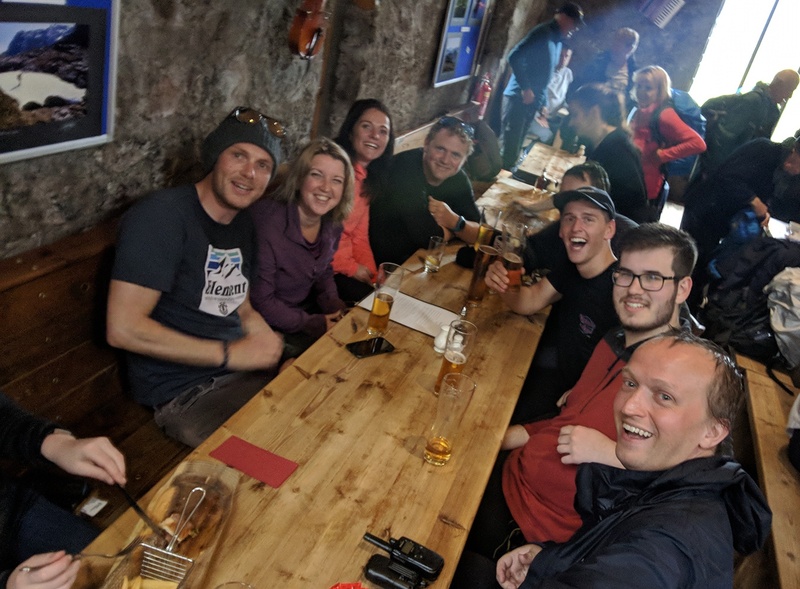 The team’s mood was considerably lightened by the suggestion that we stop off for a quick pint (or two) in the Ben Nevis Inn, since there wasn’t much point in putting up our tents in the rain. By the time we got to the campsite and put our tents up (a little later than planned), it had stopped raining but that meant the midges were out. As anyone who’s been on holiday in the north of Scotland will know, these insects are seriously bad news. 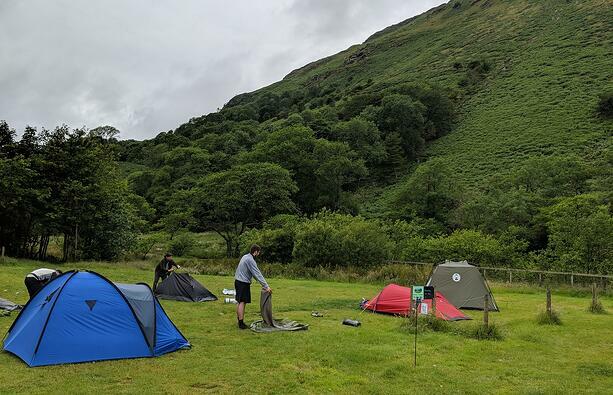 We still had a bit of fun putting the tents up, with some of our group thinking it was a great idea to take the others’ tent pegs out without them noticing. All the tents stayed up though and we got a fairly early night, since we had a lot to do the next day. Day 2 didn’t get off to a great start, since our 7 hour drive from Scotland to the Lake District took place in torrential rain. It had stopped raining by the time we arrived at Wasdale Head to start the climb of Scafell Pike, but since it was 3pm, there were more people coming down than going up. After an hour of climbing it started raining again and was pretty “dreich” (classic Scottish word for dreary and bleak weather). It was the most fog we’d ever seen on a mountain. 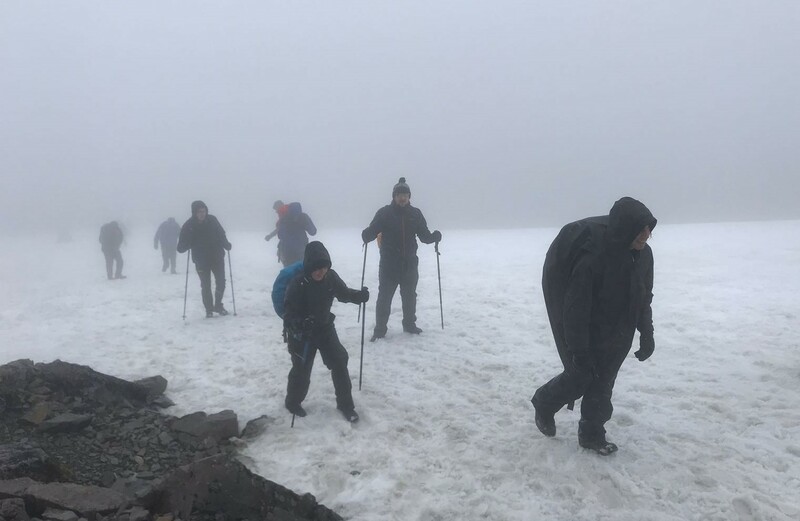 We walked together with a maximum of 100 metres between the front and back of the group but we still nearly lost a couple of people – luckily we spotted them in the fog and managed to call them back! We rushed back to the campsite for a shower before a very welcome dinner at The Bridge Inn, Santon Bridge. Most of us agreed that it was the best beef and ale pie we’d ever eaten! We camped at The Old Post Office Campsite but, unfortunately, we’d booked a really bad group pitch by a sewer, so there was a terrible smell. The team still managed to get some sleep though, so they’d be ready for their final peak the next day. Day 3 began very well, with a clear, sunny drive from the Lake District to Wales. We had ‘The Best of The Proclaimers’ on in the minibus and everyone was singing along so the team was in a great mood. Then a mile from our final mountain, Snowdon, it started to pour with rain again. We got ready in the van and started the final climb in truly appalling weather – a gale was blowing in our faces and the rain was horizontal. 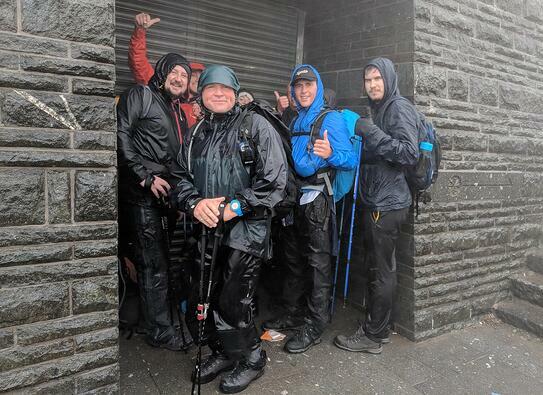 It was a busy day with a lot of other groups climbing Snowdon in these difficult conditions. We had to give someone a Blizzard Survival Blankets to keep them warm while they waited for the Mountain Rescue Team to come and help them to safety. 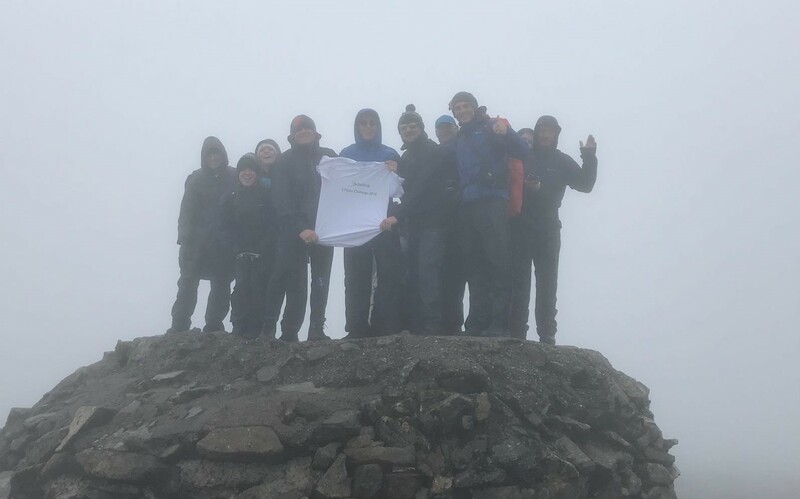 Our team was very excited to get to the top of Snowdon – our final summit of the Three Peaks. Some of the team might have made the suggestion that we could get the train down but (even if that hadn’t been cheating) it wasn’t running that day due to the weather conditions. We got down about 7pm and headed for the Llyn Gwynant Campsite. We’d been hoping to use their fire pit but, since it was raining so heavily, we were happy that we could buy pizzas from a pizza van onsite, which we washed down with a much-deserved beer. We’d done it! Now we just needed to drive back home to Edinburgh (or London) the next morning. We did it - the DaXtra team celebrates at the summit. 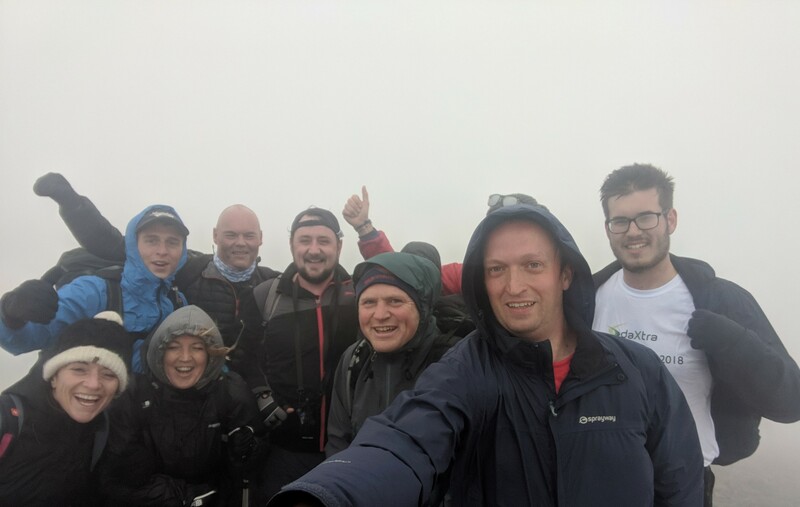 The DaXtra Three Peaks Challenge Team varied considerably in experience, from seasoned mountain climbers Steve Richards, Toby Conibear and John Riddell, to first time mountaineers Callum Gray, Alaric Pether, Michelle Kerr, David Beveridge, Liam Pidd-Capelleras and Mickaël Sibé. Everyone put in a huge effort to get up and down the three mountains. Thanks to the team members who brought along a comms box with four phones to make sure we were able to stay in contact if our walkie talkies failed, plus a 40w battery for a cool box of chocolate (or beer). We were prepared for everything! Yes, definitely. Despite the challenging conditions, we had a great time. You really get to know your team when you spend three days climbing and camping together. We were also really happy to support The OPERA Global Youth Foundation and would love to raise even more for them – so please do continue to support us.